While we lament about the lack of women in STEM, I always wonder where I went wrong. This is what you get when you Google “woman scientist.” Stock photography is…the worst? It’s okay that you aren’t in the field of math or science. We spend a lot of time encouraging more girls and women to stick with STEM (science, technology, engineering and math) fields—and that is fantastic. Women are underrepresented in those fields. But that’s not your fault. So you’re a writer. Guess what? Women writers are underrepresented, too. But without even worrying about that—I just want you to know that it’s okay. I know, you want to beat the odds. You want to be the woman fighting, not the woman joining the throng. 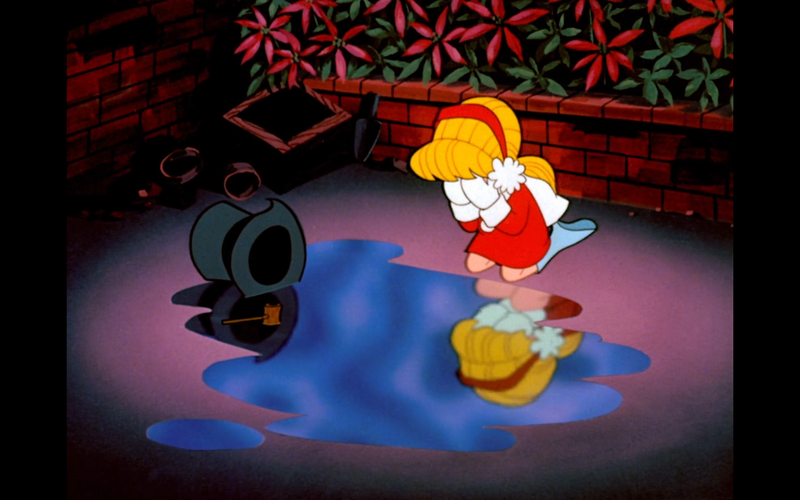 And when people talk about how girls are discouraged away from math and science and go into softer fields, you feel guilty, and start looking around suspiciously at the adults in your life, wondering which one of them did this to you—which one of them turned you into a pathetic, girly writer? Was it Dad? The nights he stayed up reading aloud with all the voices? Or maybe Mom? Who read everything you wrote and announced that you were the most creative person ever? Was it Mrs. Dvorak? Who gave you creative writing prompts that made you so excited and yet so mad because your fourth grade writing comprehension level didn’t have enough words to describe the story you had smoldering in your brain? Yes…yes. That must have been it. They’ve ruined you. They’ve done this. It’s their fault you always loved writing. You’re actually not bad at math, it just seems like you’re bad at math now because you’re bad at tipping, which is the only math anyone has to do as an adult: mental math. Then again, you’re also bad at the equivalent in writing—that is, writing something in your head on the fly while people are waiting. Whether it’s numbers or words, you’ve always needed to see the thing laid out. Your brain is a terrible place for organization—it’s a confused, disorganized mess that doesn’t remember anything. Why would you want to do math up there? So you’re not a computer engineer or a microbiologist or some other male-dominated occupation. There’s nothing you can do about that now. (I mean technically you could go back to school but ugh.) Maybe it was all the encouragement from the adults in your life that made you a writer. Or maybe there was subtle, internalized discouragement that steered you away from STEM. But I seem to recall hundreds of conversations where people told you “women aren’t as funny as men” that you didn’t believe and you didn’t listen to. So maybe you listened to the things you wanted to hear, and followed your heart. Maybe for you, science was never in the cards. That doesn’t mean you can’t encourage more girls and women to do those things. You can still support them and give them as much respect as the men in their field. And if you have a daughter one day, you can read her books in all the voices and tell her how creative she is, and buy her beakers for her at-home chemistry set. And then let her decide what makes her happy. It’s also okay if you don’t like girls, but that’s a different blog post altogether. I’ve heard it a few times recently: straight guys lamenting that they don’t like Girls and they just don’t get it. Ladies lamenting that their boyfriends find the show boring. So here’s what I want to remind those guys: It’s okay that you don’t like Girls. Girls isn’t about you, and it isn’t for you. But that doesn’t make it boring. That just makes it boring to you. I know these girls. I was these girls. My friends have been these friends. We’ve said these things and we’ve made these mistakes and we’ve felt these feelings. And it’s okay if you’re not that into it, but don’t call it boring–recognize that you aren’t the target and move on. Most shows and movies and books are centered around straight white guys, and that’s why they’re interesting to you. I have had to watch those same movies and TV shows—not by force, but by lack of options. Do you think Wolverine is that interesting to me? Or Big Bang Theory? Or Die Hard? Or Major League Baseball? I’m not the actor in those stories. I’m not the hero. I can’t put myself in those plot lines and pretend they might happen to me. I don’t see myself reflected in those people. 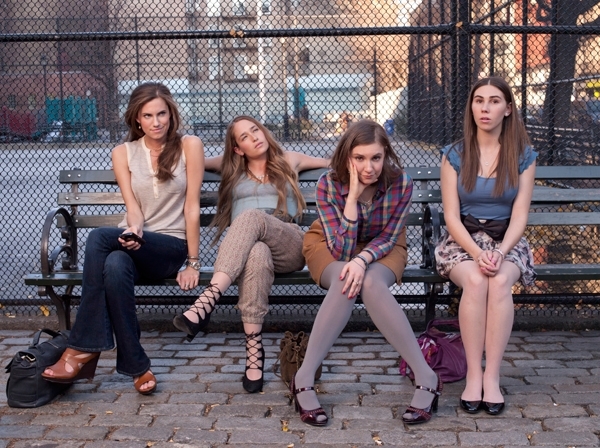 But for what may be the first time ever in my life, I do see myself when I watch Girls. When Lena Dunham takes off her shirt, it’s not for you. She’s taking it off for me—okay, hear me out. It’s not for me to ogle, but it’s because women in real life take off their shirts every day in a non-sexual way, simply because they need to change. And their hair doesn’t cascade down their back as they do it, and it doesn’t happen in slow motion, and their body jiggles back into place when they put their arms back down. She does it for me, because I’m a human being, too. Girls is not about you, and that’s okay. You don’t need to like it; all you need to do is recognize that I watch shows all the time that aren’t about me–it’s the way of life for me. And recognize that a show written for someone other than you sometimes frustrates you, and think about that feeling, and think about how other people—gay people, women, people of color, feel while they watch shows with a straight white male hero. When I told Joe about this post, he responded that it wasn’t that he doesn’t like Girls. It’s that he almost likes Girls and it’s frustrating because there’s just something about it that it lacks. I suggested that it was lacking a straight white male main character. We mulled over Adam and Ray for a few minutes and decided they didn’t really count because they were still mostly there for the female characters. Then Joe hit on something: it’s not that it lacks a proper straight white male character, it’s that it lacks a truly likable female character–no love interest. 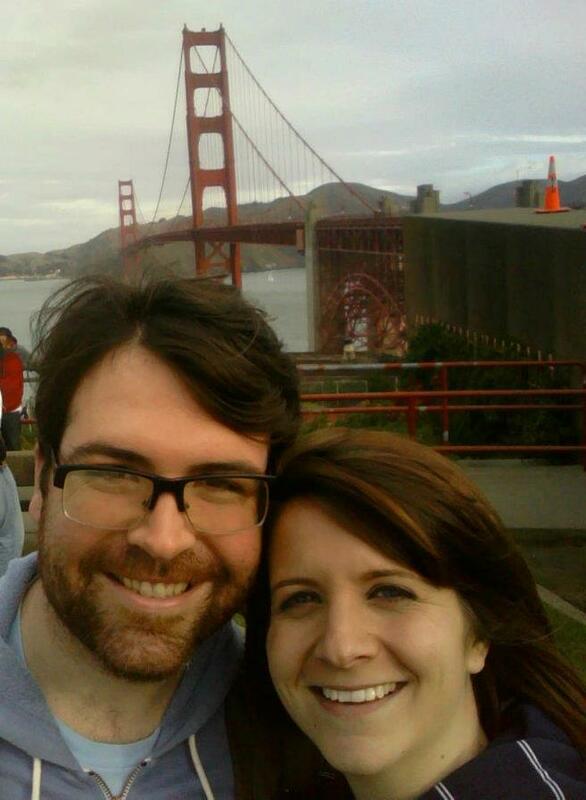 There was no Zooey Deschanel or Mila Kunis or Jenna Fischer. Every lady on the show has major flaws. It’s a very good point. Of course, I can say that real women have flaws and then point to Knocked Up or Billy Madison and say that women constantly watch movies and TV without a viable love interest for themselves, but I think you guys are already ahead of me there, right? Some guys like Girls. That’s great. Some ladies don’t like Girls. That’s okay, too. Everyone doesn’t have to like everything, because different shows speak to different people. And that’s the point. You know what professions should be tough to do? Medicine. The Federal Bureau of Investigations. SEAL Team Six (you don’t know what that is yet, but trust me—they’re good). Advertising should not be so hard. You’ll leave Advertising on accident pretty soon—the job you find in San Francisco will broaden your horizons past copywriting and you won’t look back. 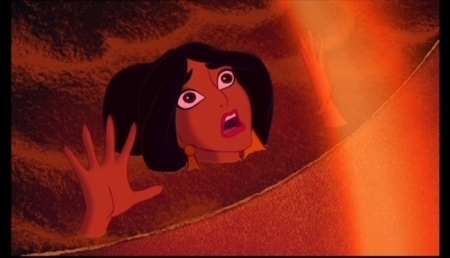 You’ll have opportunities to go back, and each time it comes up, you’ll feel like Princess Jasmine in that final second before the sand engulfs her. You’ll remember all the jealous put-downs of other people’s work, the disrespect from recruiters, the windowless cubicles, and you’ll wonder why you felt like such a strong person for putting up with it. Advertising is not the Marine Corps. You shouldn’t have to be tough-as-nails to do it—sure, you should get used to good ideas going nowhere because that’s just what happens as a creative person, but you shouldn’t have to be a certain caliber of toughness, you should just have to be a creative person with good ideas, and the place you work should do the rest to make sure those ideas happen. You shouldn’t be desperate for attention. You shouldn’t have your emails ignored. You shouldn’t believe your next job will happen as soon as this one gets around to firing you. If your ideas aren’t getting produced but your ideas are good, someone should be wondering what they aren’t giving you, not waiting for the perfect opportunity to get rid of you. You also shouldn’t be concerned about middle age while you’re in your twenties. 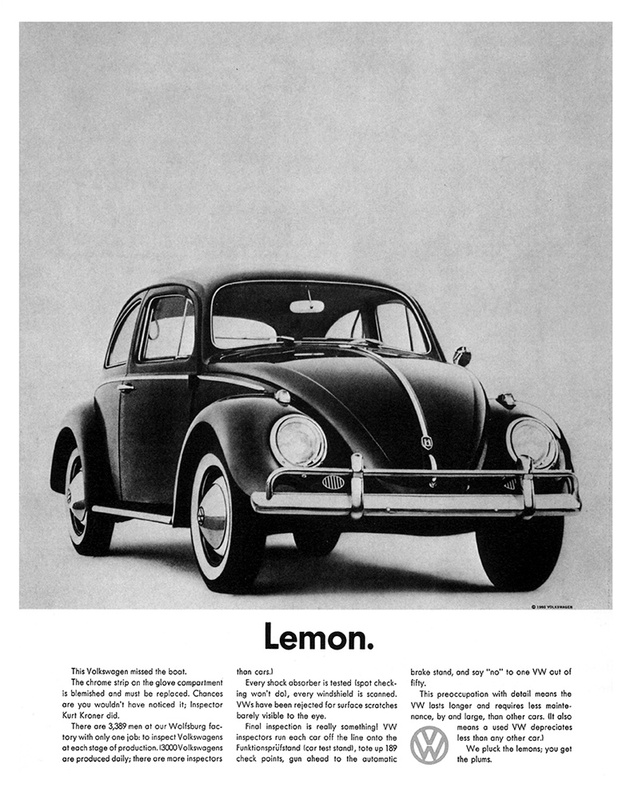 If ad agencies want to show respect to their more experienced employees who have put decades of hard work into the company, they could send those people to conferences and classes and help them learn the changing space of Advertising, not work them to the bone to the very end and then fire them. And for Christ’s sake, if all their employees are asking for a fridge, they should buy a goddamn fridge. If you feel whiny or entitled for saying any of this, just remember that if the ad industry wants happy, creative people, they should foster happiness and creativity, not fear and self-doubt. Once you’re in tech, you’ll have to retrain yourself to notice bad experiences. When something is buggy or broken, you can’t just refresh or ignore it anymore, you’ll be expected to report the bug and help make the experience better for others. You’ll have meetings where your manager asks you what they can do to make your experience at the company better, and how they can help foster your creativity. Phrases like “just keep your head down and keep working” will no longer serve as acceptable words of encouragement. Certainly ad agencies don’t need to spend tech-level money to keep their employees happy. I’m not talking indoor slides and swimming pools. I’m just saying: you deserve to be happy at your job, and you should demand more from your employer. But right now, you’re still putting up with it. And why? To make cat food coupons? No. It’s because, tiny baby Emily, you’re still clinging onto the glimmer of hope that one day you’ll make a good ad—you’ll make “1984” or you’ll teach the world to sing or you’ll meet Jon Hamm. The thing is, spending years being miserable isn’t worth it. It might mean you won’t get laid off this year, but I make no guarantees. Advertising doesn’t value its employees, because there are a dozen other people waiting to take your place—more people, like you, who want mild fame without having to move to LA. So your employers don’t really care how they can help you get better, they’d rather just wait for you to mess up. Maybe it’s only like this at the “dinosaur agencies” employing you. Maybe the newer, hipper ones have more respect for the people who keep their company running. But the main problem seems to be widespread: negativity is everywhere in that business, because everyone is worried that they’ll never make a good ad again and be laid off, and they’d rather put down other people’s work than admit their own jealousy and fear. You don’t have to stay. You don’t have to come home crying because some misogynistic ad agency (the one who encouraged men to take back the power from women by wearing khakis) is making you write a sexist ad about cleaning supplies—they’re not making you do anything, because you are in control of your life. You thought you would like advertising a lot more, and you just don’t. That doesn’t mean your measly years have been wasted—you’ve still learned a lot. You’ve learned about work ethic, about concise writing, about presenting your ideas. So now take that and go where you’re appreciated. Go where you can do something that matters. Go where you aren’t in constant fear for your job, despite all the work you do. Go and make things you can be proud of. I want to thank this Slate article about women programmers for inspiring my post today. The man who wrote it said this: “One trite retort is ‘Well, your friend should’ve been tougher and not given up so easily. If she wanted it badly enough, she should’ve tried again, even knowing that she might face resistance.’ These sorts of remarks aggravate me. Writing code for a living isn’t like being a Navy SEAL sharpshooter. Programming is seriously not that demanding, so you shouldn’t need to be a tough-as-nails superhero to enter this profession.” Which is a different point than the one I’m making, but still an awesome one. The idea of a Man Cave is problematic. But all that goes away if we can also create Woman Caves (or something more clever-sounding). 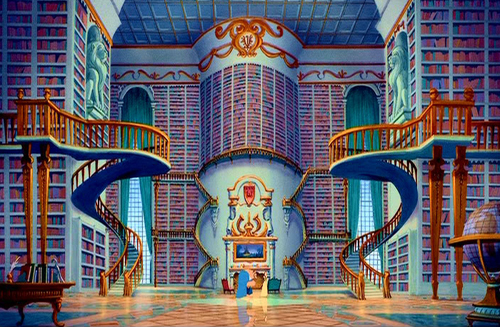 The library from Beauty and the Beast…aka, my dream Woman Cave. I assumed everyone already understood why “Man Caves” are lame and sexist. But it turns out I’m wrong. I get it, Pinterest. You’re trying to prove that there’s a space for men on your site, which I agree with and which we can talk about later. But I want a board called “Woman Cave” (or, you know, something more clever-sounding). First of all, heck no I would not be satisfied with some crappy TV. I want to watch my Scandal in high def, son. Or whatever. Pixels? Look, I may not know that much about TV specs, but that doesn’t mean I’d be happy with an old TV. It just means I would need to do research before I buy my next one. But I actually agree with you, Anonymous commenter, that sometimes women take over the decoration of their house and choose a bunch of “frilly, girly crap” their partner doesn’t like. I personally admit that our home has a few things that are too girly for Joe (my wrought iron phase was very real and it was very intense, let’s leave it at that). But we try. In my opinion, if you don’t feel like your home is yours, that’s a problem. That being said, it’s both people’s responsibility to make sure a place feels right for them as a couple, so if you’re leaving all the decoration work to your partner, it’s not their fault when their style works its way in. Saying a man needs his own space because the rest of the house “belongs to the woman” is horrible. You mean I get stuck with boring practical things like curtains and silverware, and Joe gets a giant TV and a keg? I don’t thinks so. As you already know, I refuse to let the practical decision be my desire while the fun things are his. Women need to recharge, too. If one person has their own space but the other doesn’t, that’s bad for both people. It means she has to share everything, without a space to call her own. And despite conventional wisdom, women need to be alone and recharge, too. Sure, lots of us work through our problems by talking to other people and that can make us seem more needy. But that doesn’t mean that we don’t deserve quiet time. Even Shosh needs quiet time. And a woman who never has any time or space to recharge is not a fun woman to be around—trust me, I’ve been that woman. Wide-eyed and on edge, oh yes. I’m a ball of gas at that point. But having a space for retreat could be a great way to feel refreshed and come back ready to be a better, more supportive partner. Let me be clear: there’s nothing wrong with a man wanting his own personal space. I just ask for equal opportunity alone time. I need to unwind, too. I have friends, too. That’s why I demand a Man Cave and Woman Cave. 1. Wall-to-wall books, Beauty and the Beast style. 2. A giant TV, with surround sound please and thank you. I want to hear Betty Draper sigh from every corner of the room. 3. Soundproof wall panels, so I can listen to whatever song I want on full blast—including the times I listen to one song on repeat all day. It happens. 4. One of those window nooks like all the imaginary princesses have for reading and drinking tea and looking longingly out the window when it rains. 7. Cheese. Lots of cheese. Just…constantly there is cheese somehow. Okay but now I’m seriously asking. What can you do? How can you make sure you both have your little spaces? What kinds of spaces do you have already? Or, ladies, if you have a Woman Cave (real or imaginary), what’s in it? Oh no, I just realized how dirty the phrase “Woman Cave” is. Ugh, it’s a stupid phrase anyway. Anyone have a better suggestion? Lady Space? Woman Domain? At some point this year, I learned about The Bechdel Test. And now that I know about it, Christmas is ruined. Well, the movies anyway. So with this in test mind, I’ve started watching my annual Christmas movies, and I’ve been amazed at how many movies don’t make the cut. From the classics to films from this century, almost every Christmas film either fails the test or barely skates by. Unsurprising for how old this movie is, and the fact that the entire movie revolves around one man. But considering how many women are in this film, it’s a little silly that none of them speak to each other. Mary, George’s mom, that blonde hussy, George’s daughters…none of them. 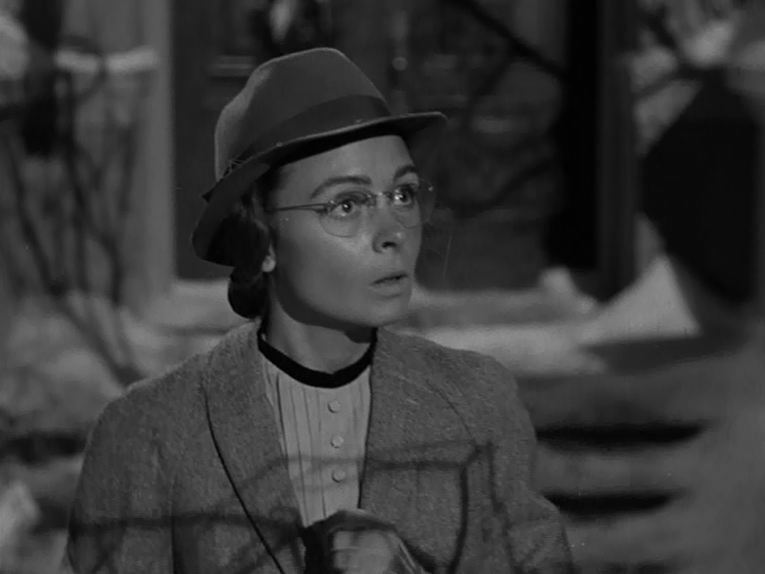 And Mary becoming a librarian spinster? I mean REALLY. 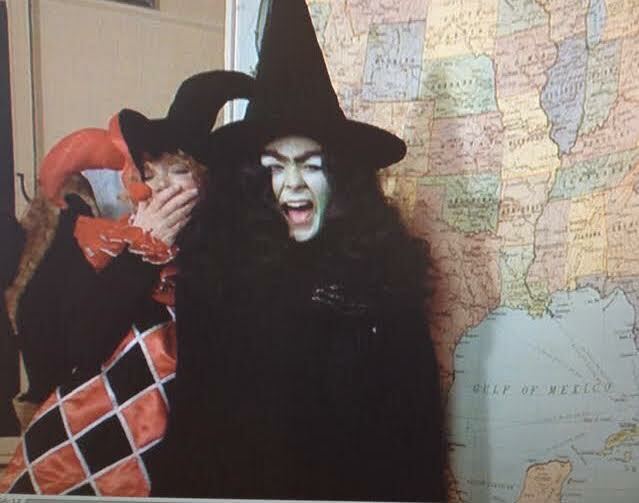 Unless you count the mom and teacher cackling “You’ll shoot your eye out!” while dressed as a witch and jester. Which I don’t. While this movie is amazing, as far as this test goes, it’s a miserable failure. Along with Love Actually, it’s the newest film on either list, at (prepare yourself) 2003 (I warned you). Until the mom starts singing with Zooey Deschanel at the end of the movie, no two women even look at each other, let alone have a conversation. Granted, it’s theoretically hard to have two women talk to each other when the movie is about heterosexual love, so I ALMOST give this one a pass. But then you remember all the conversations that men have with each other in this movie–Billy Mack’s radio interview, Mr. Bean creating so much more than a bag, Billy Bob as President Clintbush—and it’s a lot less okay that no women speak to one another. Lucy passes out roles for the play, and the girls respond to their roles. But these are not conversations, they are interactions at best. I have a lot of thoughts and feelings about the Muppets, and this movie is my absolute favorite Christmas movie, possibly my favorite movie of all time. 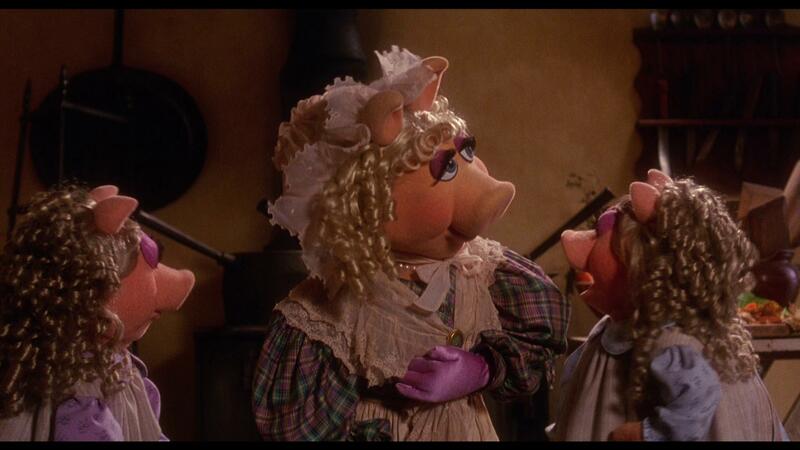 But the only conversation between two women in Muppet Christmas Carol is between Miss Piggy and her daughters, Belinda and Betina. They discuss when Tiny Tim and their father (Kermit) is coming home. It pains me to put this movie in a disparaging list of any kind, but I can’t in good conscience say that it passes the test. I would blame Dickens, but this is a movie with two Marleys. They could have made it work. 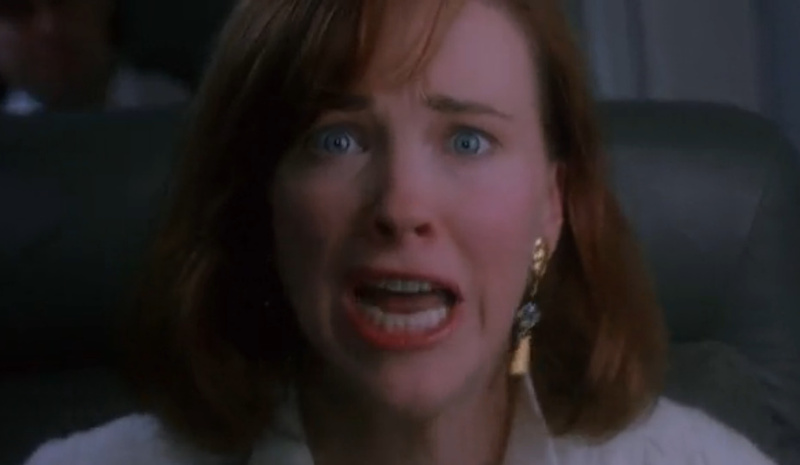 The only conversation between two women happens when Catherine O’Hara tries to get back home. These conversations revolve around her son, a male character. The first one is a flop (Bechdel Test-wise, of course). The second and third installments might do better, but I really don’t feel like watching them to find out. Anyone want to enlighten me on those? 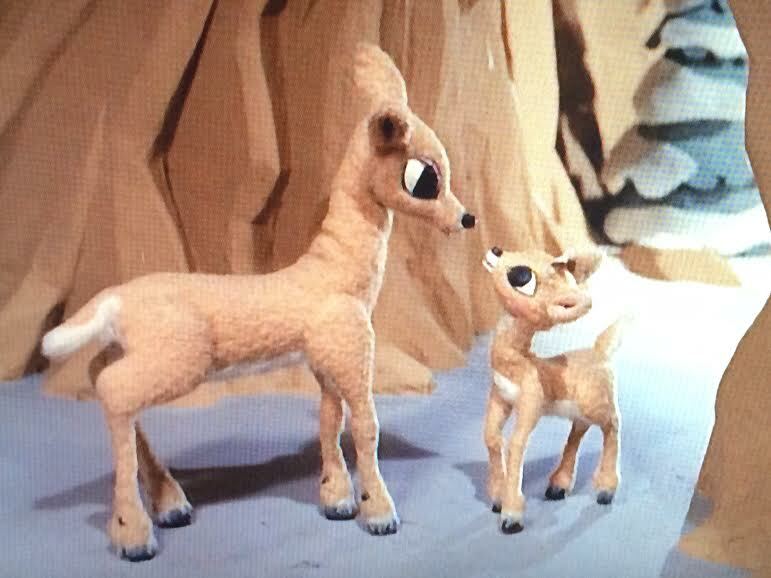 I assume Mrs. Donner and Clarice have lots of conversations during their hunt for Rudolph. Sadly, we don’t get to hear any of them. Poor Karen. No other girls to talk to, and her only friend is murdered in front of her eyes by a magician. Seriously, this movie has bigger issues than the Bechdel Test. 1. 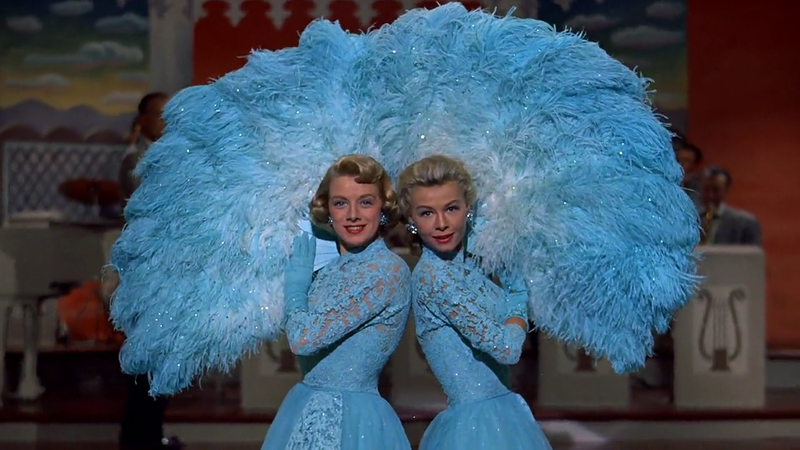 A conversation between the sisters about the men, which evolves into calling Rosemary Clooney a mother hen who worries too much. 2. Mary Wickes tells the women that the hotel won’t need them to perform. 3. Judy tells Rosemary Clooney that she should eat something before bed, a trick to get her to see Bing Crosby in the kitchen. It’s a debatable one, but I just couldn’t count any of these three as a real conversation between two women about non-men. Also, Bing Crosby mentions dragging the women off the train by their hair. It has nothing to do with the Test, but it doesn’t help their case. 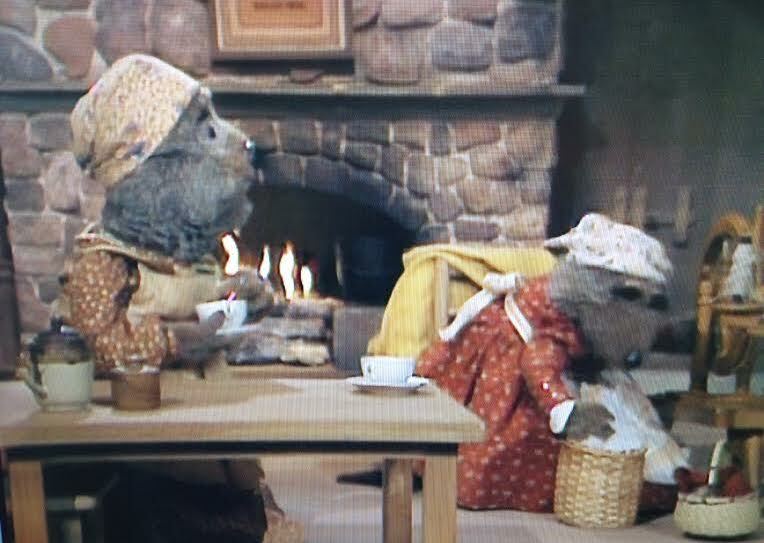 This Muppet movie does make the cut: Ma Otter has a couple conversations with other female Muppets. This one passes the test thanks to the one conversation between two women: the mother and daughter have a conversation about how the extra house guests are ruining the daughter’s life. Although this conversation mentions four different men, so, you can decide if it should pass. This one is also debatable, and I’d love to hear you weigh in. Now, the cartoon Grinch isn’t on either list–since there is one tiny exchange in the entire movie, I’m leaving it neutral (although I guess technically it fails according to the Test). But the feature film has a few added female characters and more opportunity for conversation. 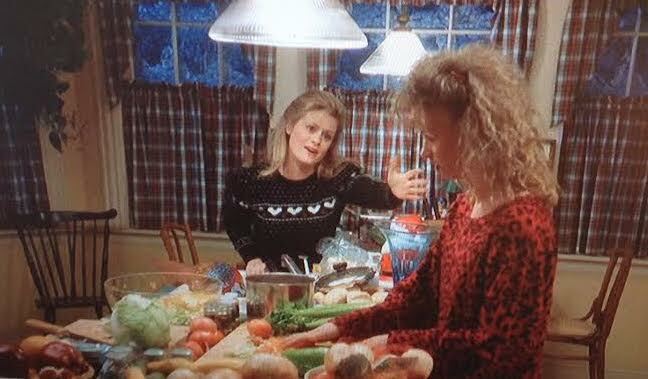 There is one brief exchange between Martha May and Molly Shannon about their Christmas lights. Is it enough to count? That’s for you to decide. Another near fail for both versions. The mother and daughter speak almost exclusively about Santa Claus. And the lawyers, the judge, and the businesspeople (beside the mom) are all men. There are a lot of conversations between men. 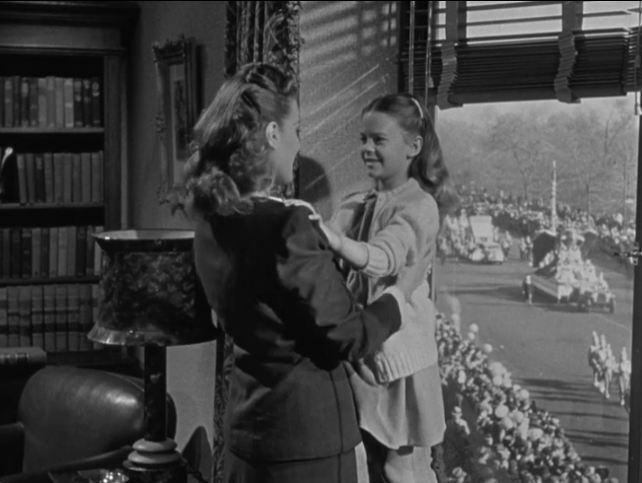 But in both movies, the mom and daughter do speak about faith, a concept arguably bigger than Santa as a man. What do you think? Does talking about believing in Santa count? For those keeping score at home, that’s 11 fails and 5 passes, with only one strong pass, Little Women. Maybe unsurprisingly, Little Women is also the only film in either list with a female as the main character (except for Love Actually, which has no main character). Something to ponder. And so what? Are Christmas movies really ruined? Does it mean we can’t watch the movies that don’t pass? Absolutely not. You can take away Muppet Christmas Carol when you pry it from my cold, dead hands. And even then, I would really prefer to be buried with it. But what the Bechdel Test means to me is awareness. Awareness of how women are viewed in a given movie, and the roles they’re allowed to play. Who is giving them a voice, and what does that voice sound like? How much worth is being placed on women and the things they have to say? And what can we do to make sure every movie, not just the Christmas ones, passes that simple test from here on? 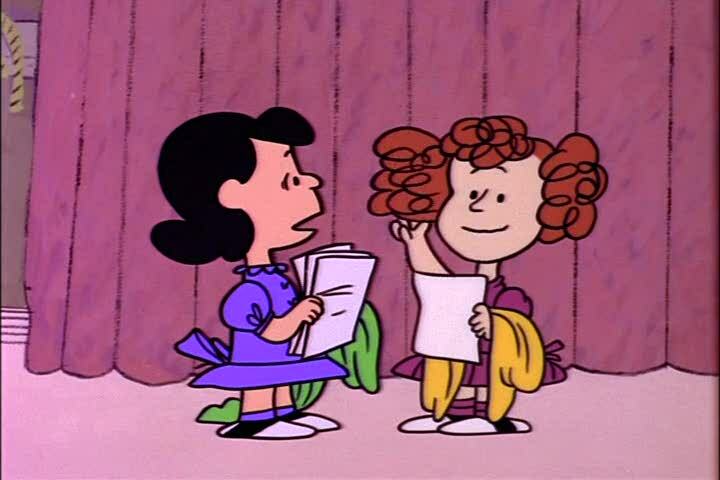 That’s what this test is all about, Charlie Brown. For those interested in further discussions about gender inequality in film, check out this infographic or this article by Geena Davis.